(Los Angeles, CA) January 15, 2019 — The Pan African Film & Arts Festival announced that it will celebrate its 27th Annual Opening Night with a screening of Aretha Franklin’s cherished Amazing Grace concert documentary at the Directors Guild of America. The festival, which presents an impressive slate of over 170 new Black films from the US and around the world and exhibits more than 100 fine artists and unique craftspeople, starts on Thursday, February 7 through Monday, February 18 at the Cinemark Rave 15 Theatre (3650 Martin Luther King, Jr. Blvd) and the adjacent Baldwin Hills Crenshaw Plaza in Los Angeles, California. 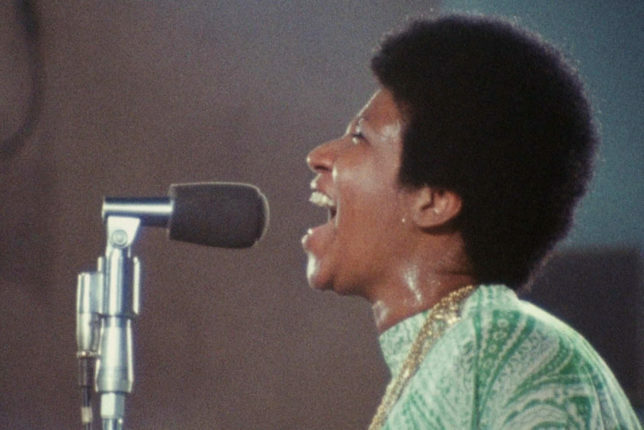 Aretha Franklin’sspine-tingling and uplifting Amazing Grace, produced by Alan Elliott, was originally directed by Sydney Pollack in 1972 at New Temple Missionary Baptist Church in Los Angeles, California. The film, a rare gem in the crown of the late musical genius, has not been seen before now due to technical and rights issues.